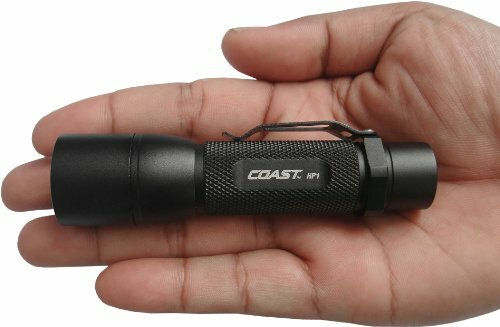 Coast is one of the oldest flashlight companies in the market. Started in 1919, Coast has been known for its wide range of products apart from providing illumination tools. Its first product was a knife. Coast is situated in Portland, Oregon. For the many years that they have been producing flashlights, Coast always ensures that they make high quality and powerful flashlights. They have a wide range of flashlights on offer as we will learn later in this review. 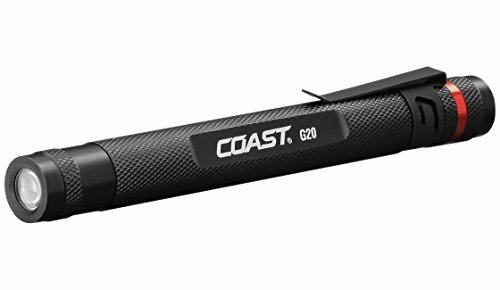 Also, Coast offers a lifetime warranty against defects in materials and workmanship on all of its flashlights. 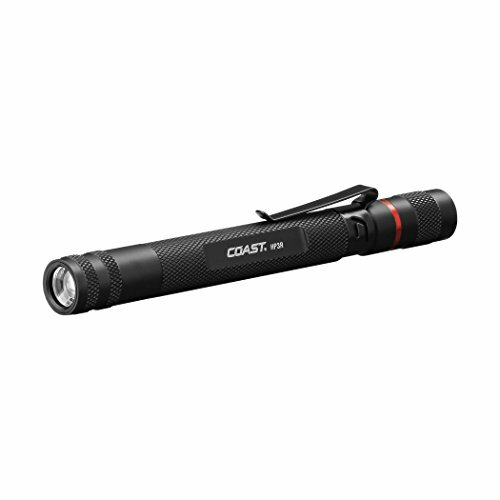 Read this Coast Flashlight reviews to find out most popular flashlights from Coast brand. Whether it is an LED flashlight, LED headlamp, emergency area lamps or other illumination accessories, you will find all of them at Coast. You can be a hunter, an emergency responder, mountaineer, camper, law enforcer, or a hiker, this flashlight will still meet your needs. 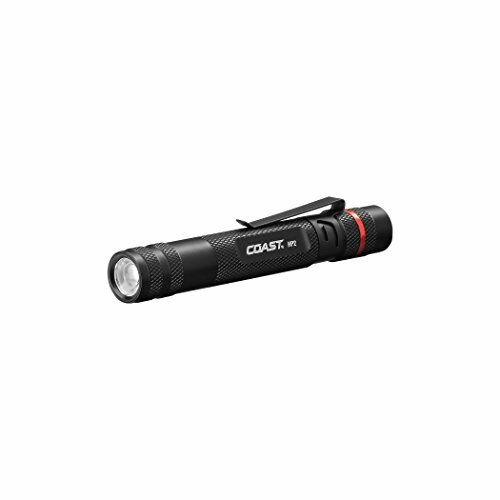 Coast offers different kinds of flashlight that come in different sizes and performance. Simply choose a flashlight that has the features that you are looking for and it should be within your budget. 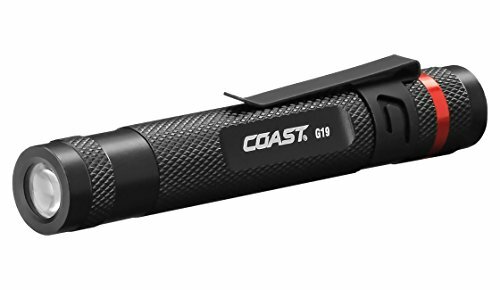 The HP7 is one of the most famous Coast flashlights. It combines size, form, and performance. In addition, the flashlight offers 3 light modes which are low, medium, and high. All of these are controlled by just one single hand. It is a great camping light as it can sit on the surface and provide a floodlight. The anti-roll tail cap prevents the flashlight from rolling on the surface when it falls accidentally. Also, it is weather resistant and impact resistant. With a lifetime warranty, this is an excellent flashlight to own. 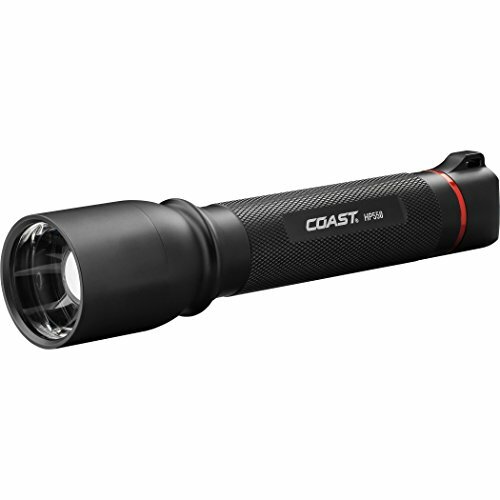 The Coast HX5 is a simple but versatile flashlight. It has a pure focusing beam suitable for hunters or shooters. It runs on alkaline batteries and produces a maximum of 130 Lumens. If you don’t have alkaline batteries, you can as well use rechargeable lithium 14500 batteries or rechargeable NiMH batteries. These have a longer run time than the AA battery. The flashlight is also easy to keep as it has a two-way pocket clip. Use this flashlight for hunting or fishing as it is water resistant and impact resistant. If you are on a budget, the HP1 flashlight will still provide you with light and it is sturdily constructed. It has a firm grip that enables you to handle the flashlight well, even if you are being chased. The flashlight can provide you with constant light for up to 1 hour and 15 minutes. This is when you are using a Li-ion battery. Alternatively, one can use 14500 lithium batteries or NiMH rechargeable battery. In addition, the flashlight is both water and impact resistant. It can also resist corrosion due to the excellent finish. This is one of the sturdily built Coast flashlights. The HP3R LED flashlight is stylishly constructed for easy use. It has a nice grip that provides the user with stable use. For instance, when your hands are wet, you will still be able to hold the flashlight firmly. Furthermore, the flashlight has a pocket clip for easy carry. It is also very powerful and produces very bright light with a maximum of 250 Lumens. On low mode, the flashlight can provide you with constant white light for 6 hours. You don’t have to worry about the quality of the light as it is rated as ANSI/FL1. With the Flex charge, you will be able to recharge the flashlight easily and conveniently. The budget-friendly flashlight can be a great addition to your daily carry items. The G20 is small in size but very powerful. It is made of durable aluminum cover and it has a wonderful grip. So, it cannot slide or slip from your hand easily during use. It has a pocket clip for easy attaching of the flashlight to the pocket. The inspection beam is amazing and reaches up to 22 meters. If you accidentally drop the flashlight, you need not worry as it can resist impact. Also, you can immerse the light in water, as it is water resistant. Use this flashlight for more than 10 hours without any worry of it running out of power. For those looking for a versatile flashlight from Coast flashlights, the HP2 LED flashlight is the best fit for them. The compact and bright LED light produces a maximum of 85 Lumens. It has a run time of 2 hours and 45 minutes, which is great for its size. Also, it has the capability to cover up to 55 meters. Utilize the focusing beam optics to clearly view items that are close or far away. In addition, it has an indestructible LED bulb and it is both water and impact resistant. Powered by one AAA battery, this small and ultra compact flashlight is suitable for backpackers, students, and for general use. It can come handy when there is a blackout. Its brightest beam covers a distance of 65 feet and has a run time of 2 hours and 30 minutes. Also, its light weight and small size make it be ideal for everyday carry. The inspection beam optics create a clear and consistent beam. It is backed up by a lifetime warranty and meets ANSI/FL1 standards. If you are looking for a powerful and versatile LD flashlight, the Coast HP550 will meet your demands. This 1050 Lumen flashlight produces a very bright light and its beam covers up to 77 meters. It also utilizes an indestructible and powerful LED chip. This chip produces an outstanding white light for more than 5 years. Choose either the low light mode or higher light mode. The high mode runs for a maximum of 6 hours and 15 minutes, while the low mode has an excellent run time of 108 hours. Use this flashlight for various uses such as hunting, hiking, and camping. The Coast PX25 LED flashlight is a compactly designed light with great features. It is small in size and very easy to keep in your pocket or backpack when not in use. It has a firm grip that allows the user to handle the flashlight easily. In addition, the flashlight produces very bright light that covers a long distance. This is at a maximum of 275 Lumens. With the Bulls-eye spot beam optic and lifetime warranty, this is a wonderful flashlight to have for your everyday use. 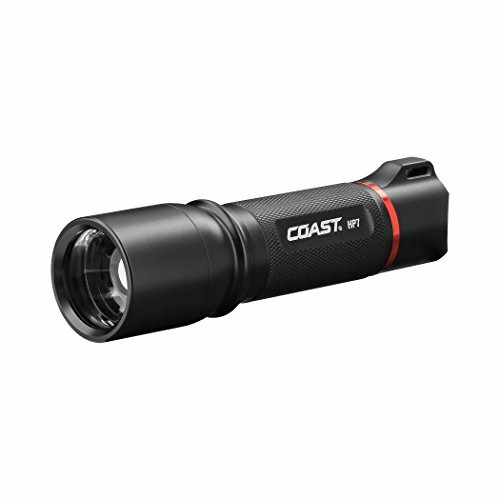 If you have been looking for a flashlight that meets your needs at a great price, then Coast is the brand to choose from. 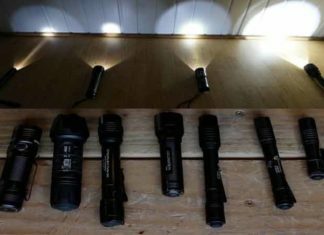 Being an American brand, Coast meets all the required standards and their flashlights can be relied on in all situations. They can be used for daily purposes or for tactical use. Also, they are one of the most affordable flashlights on the market. Select from one of the Coast LED flashlights that we have listed above if you want to have a great experience. Find out who is hiding in your backyard by using your coast flashlight. Still, have a question after reading this Coast flashlight reviews? Comment below.